Though I’ve never seen her bones or examined her plane’s wreckage or fingered through old files documenting her many distress calls, I feel confident answering that question with an emphatic yes. Yes, Amelia Earhart died a castaway after crashing on a Pacific Island. Sad story! But that’s how it ends. We’re done here. New claims that Earhart died a castaway on a desert island (probably Nikumaroro) in the Pacific have bubbled to the surface of the news cycle every 9 to 12 months for the past several years. They discovered logs of distress calls, possibly from Earhart after her crash landing. Then they found some bone fragments. Another time they found some dang American freckle cream from the 1930s. 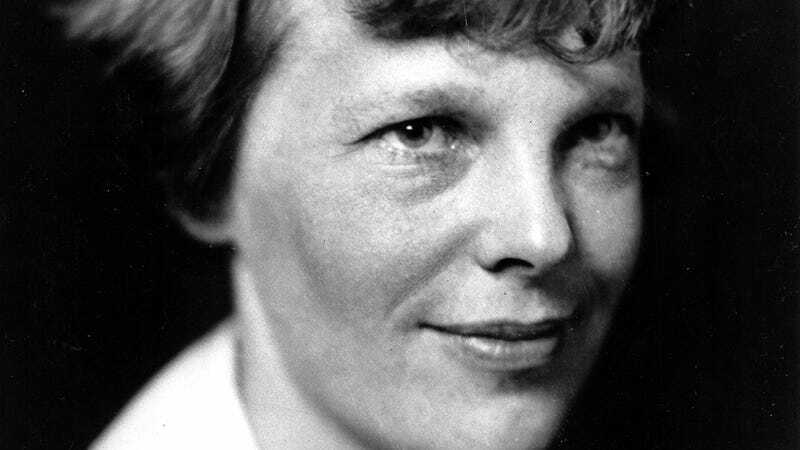 This week, we found out those bones from Nikumaroro match Earhart’s atypical proportions. After identifying the correct points on the shoulder, elbow and wrist for comparing bone length, [an investigator] found that Earhart’s humerus to radius ratio was 0.76 – virtually identical to the castaway’s. I know many of you are probably screaming, “CONFIRMATION BIAS!! !” at your screens right now, and I admit that my eyes tend to glaze over when reading other theories (especially the ones about her being captured by the Japanese), but after years of being told roughly the same story—despite the little details flickering on and off in the process—it’s getting to the point where a team of investigators could discover every wrinkled aluminum piece of her wrecked plane just yards away from a rusty trunk of hygiene products and journals labeled “A. Earhart” and a pile of woman’s bones arranged to spell out, “This is the body of Amelia Earhart, a pilot who died here in 1937,” and the world would respond with something resembling the thinking emoji with a hand on its chin. While the full story of her plane crash and subsequent time as a castaway is spotty and incomplete, the final chapter of Earhart’s life is far from a mysterious. Hers was just another harrowing story that ended in tragedy, and we need to move on to actual mysteries, like that dang plane. Where the heck’s the dang plane?! ?